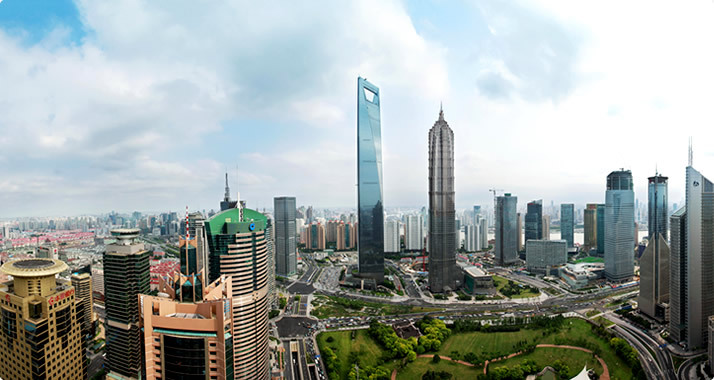 To facilitate its operations, Shanghai World Financial Center Co., Ltd. obtains and uses the names, addresses, phone numbers, and e-mail addresses of its customers and other information (hereinafter called “Personal Information”). The Company understands that protecting Personal Information in an appropriate manner is an important responsibility of the Company. To fulfill this responsibility, the Company shall handle Personal Information according to the following provisions. (1)The Company shall observe laws concerning the protection of Personal Information and other relevant laws and ordinances, shall follow practices generally deemed fair and proper with respect to the handling of Personal Information, shall handle such information in an appropriate manner, and shall make efforts to improve the handling thereof as required. (2)The Company shall keep its personnel well informed concerning the protection of Personal Information and shall cause such personnel to handle Personal Information in an appropriate manner. The Company shall also require that its suppliers handle Personal Information appropriately. (3)When obtaining Personal Information, the Company shall specify the purpose of use of the information, provide notification of or publication of such purpose, and shall handle the information within the scope of such purpose. (4)If the Company contracts with a third party to handle Personal Information in whole or in part to the extent necessary to achieve the purpose of use of the information, and in connection therewith provides Personal Information on customers to such third party, the Company shall ensure that the Personal Information is sufficiently protected by such third party and shall take appropriate measures to ensure the same. (5)The Company shall take the necessary measures to prevent Personal Information from being leaked, lost, or altered, and shall manage such information in an appropriate manner. (6)If the Company is requested by a customer in person to disclose, correct, delete, or suspend the use of his or her information held by the Company, the Company shall comply with such request in good faith. More specifically, the Company shall observe the following provisions. (7)To conduct any other necessary activities in connection with the Company’s business. The Company shall make efforts to manage Personal Information provided by customers in a strict and appropriate manner in order to ensure that the information remains true and accurate. Further, the Company shall enact the necessary and appropriate security measures to protect Personal Information provided by customers against the risk of leakage and unauthorized access. Without obtaining the consent of customers, the Company shall not provide Personal Information to a third party, unless such disclosure is required under applicable laws and ordinances. If a customer wishes to request personal disclosure of his or her Personal Information, the Company shall verify the identity of the customer and, unless otherwise provided under applicable laws and ordinances, shall disclose such Personal Information to the requesting customer without delay. If a customer wishes to correct, add to, or delete his or her Personal Information held by the Company, the Company shall verify the identity of the customer and, if the Personal Information is found to be erroneous or incomplete, shall make corrections, additions, or deletions without delay. If a customer wishes to erase or suspend the use or provision of his or her information held by the Company, the Company shall verify the identity of the customer and, if such wish is found to be reasonable, shall erase or suspend the use or provision of the information without delay. The Company shall accept requests provided for in Paragraphs 5, 6, and 7 above with respect to Personal Information held by the Company, and any inquiries or complaints in connection with the handling of Personal Information by the Company, at the following contact address. The acceptance of such requests and inquiries shall be in accordance with the procedures prescribed by the Company. Please note that the Company may not comply with any request for disclosure, etc. that is not made in accordance with such procedures. E-mail is accepted on weekdays (excluding holidays) from 10:00 am to 5:00 pm. For more information on this website, please contact the following.